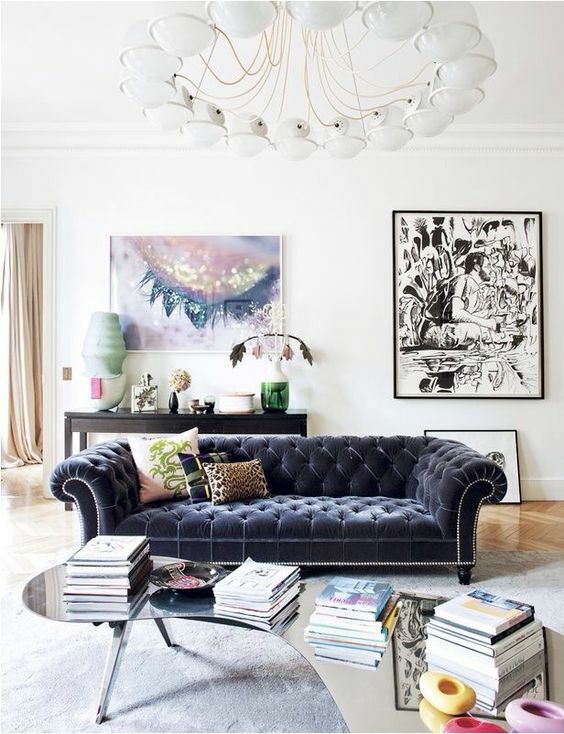 Feel like adding a touch of classic style to your living room" A classic 17th, 18th or 19th century sofa can be the perfect item for adding personality to your modern living space, especially if it?s styled right! From mixing and matching furniture styles to choosing the right sofa size for your home, we?ve put together a list of tactics for successfully adding a classic sofa, armchair or other furniture to your living room below. When you?re decorating a modern space with all of the contemporary features you?d expect in a new building, from floor-to-ceiling windows to white walls and tall ceilings, it?s important not to go too far with the classic furniture. Add a classic Chesterfield, a 19th century inspired cabinet and other items of classic furniture to your living space and it will quickly look overwhelming and confused. Combine styles with some restrictions, on the other hand, and it can look fantastic. Generally, it?s best to use classic sofas and other large items of furniture as visual centrepieces, rather than as a room?s default style. Stick to one or two statement pieces, all with contemporary furniture to create a consistent aesthetic in the rest of the space.